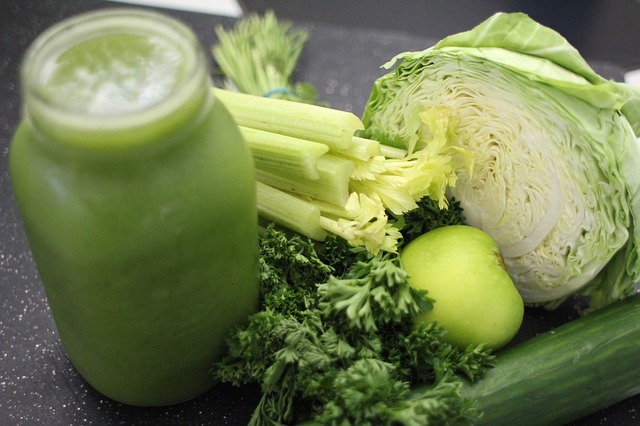 Vegetable Juice can do wonders for your health. Every celebrity and his nan are doing a juice detox. Here’s why the vegetable juice bandwagon is worth jumping on. The solution is to have them raw. But are we really going to sit down and eat a plate of rock-hard broccoli, carrots and beetroot every day? Not likely. That’s where juicing comes in. “Ninety-five per cent of all the vitamins and minerals are retained when you juice,” says Jason ‘Juice Master’ Vale. He reckons everyone would benefit from having a vegetable juice instead of their usual breakfast, at least during the working week. “That way, you’ve already started the day on the right foot.” Plus, you still get to go out for brunch on the weekend. The results include more energy and focus, better skin and hair, and a nice downward shift in kilos — just in time for summer. The GQ guinea pig tried Vale’s ‘7 lbs in 7 Days’ plan (about 3kg). You have nothing but homemade juices — including supplements like spirulina and power greens — for a week. It sounded daunting, but was actually easy. You just prepare the day’s juices in the morning, take them to work and have them when you’d usually eat.The plan also includes exercise every day, which was no problem as energy levels stay surprisingly high. For that week, the fruit, vegies and supplements cost $120. And the juicer that Vale recommends as being easiest to use and to clean is the Philips Quick Clean ($180). The GQ guinea pig lost 3kg that week, before switching to a juice every day for breakfast, and hasn’t put the weight back on. It seems juice-sipping stars like Channing Tatum, Mark Ruffalo and Miranda Kerr are on to something.